WILMINGTON, Del. – Governor John Carney on Friday announced a $3.25 million grant from Bloomberg Philanthropies to expand access to economic opportunity for Delaware students. Funding will help bolster the Delaware Pathways program, which provides high school and postsecondary students with the opportunity to gain work-based learning experiences for in-demand careers as well as earn industry credentials and early college credits. Economists forecast that Delaware will hire or replace 30 percent of its workforce in the next six years. Delaware Pathways, which represents a partnership between Governor Carney’s office, the K-12 education system, higher education, nonprofits, the Department of Labor, and a host of other public and private leaders, aims to tackle that issue by providing students with career exploration, real-world training, and robust postsecondary preparation. The Bloomberg Philanthropies grant, which will span the course of three years, comes on the heels of similar investments in Colorado and New Orleans in 2016. Massive shifts in the economy, politics, and social issues have dramatically altered how states like Delaware are preparing young people for the world they’ll inherit after graduation. Increasingly, the tech-driven, family-sustaining careers of today and tomorrow require some level of postsecondary education or training. To address that disconnect between high schools, colleges, and a rewarding career—and the reality of emerging industries like IT and healthcare—public and private leaders from around the state have banded together to help usher in a new generation of the state’s workforce. Mark Brainard, president of Delaware Technical Community College, played a key role with the Colonial School District in getting the first career pathway started with just 27 students from William Penn High School working in the advanced manufacturing field. In addition to Delaware Tech, Rodel, and Governor Carney’s Office, key partners in Delaware include its state departments of education and labor, its Workforce Development Board, the United Way of Delaware, plus partnerships with every school district and employers in different industries throughout the state. Delaware’s strong alignment across sectors has quickly made it a national exemplar and a recipient of targeted supports. In 2017, it was one of just 10 states to receive $2 million in grant funding through the New Skills For Youth initiative led by JPMorgan Chase in partnership with the Council of Chief State School Officers and Advance CTE. 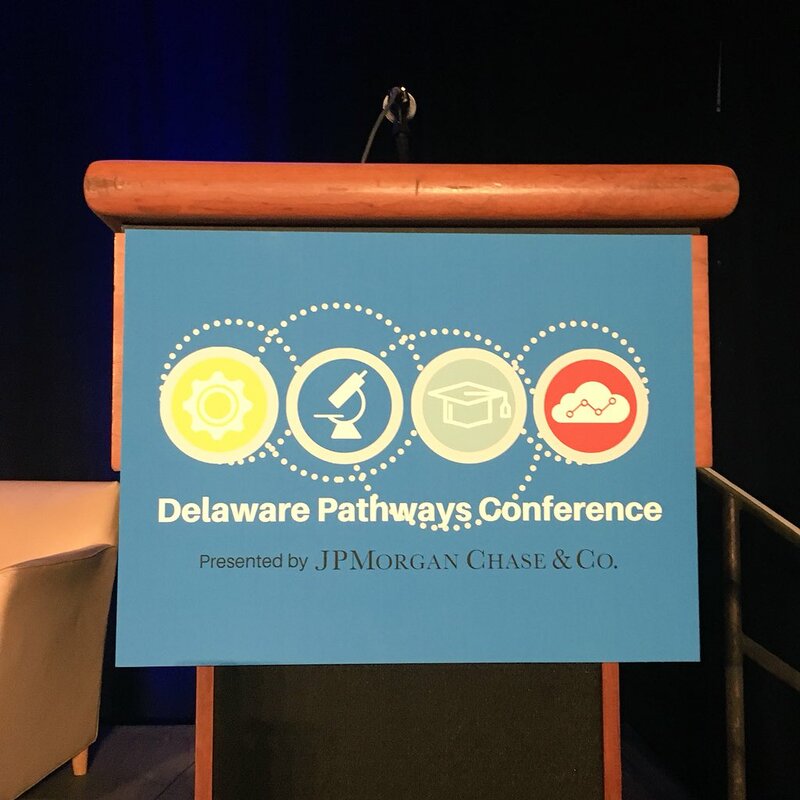 Delaware Pathways is an education and workforce partnership that has shaped extensive school reform and the development of regional Career and Technical Education (CTE) pathways that accelerate academic and technical instruction, reflect the needs of the state economy, and purposefully integrate employers. Each pathway offers students the opportunity to earn an industry-recognized credential, early college credit, and relevant work experience. These instructional models are now being scaled across the state in key industry sectors such as: agriculture, education, finance, health care, hospitality and tourism, engineering and science, information technology, and manufacturing. For more information, please visit here or contact Alison May via email at: alison.may@doe.k12.de.us.